Mountain Brook is located in Jefferson County, Alabama and is a suburb of Birmingham. As of 2015, there are 20,691 residents of Mountain Brook. It is one of the most affluent towns in the state. It's nickname is "The Tiny Kingdom", and it's motto is "Find Peace. Find Mountain Brook.". Founded by a real-estate businessman as a residential subdivision along the Red Mountain and Shades Mountain. The plans for the residential areas called for estate-sized lots along scenic roads and commercial development centering on three picturesque "villages": English Village, Mountain Brook Village and Crestline Village. Most residents of Mountain Brook like to take the short drive into Birmingham where they have tons of entertainment options. Not only can you catch a concert or play, you can have lunch or dinner at some of the amazing restaurants that Birmingham has to offer. Along with a zoo, botanical gardens, and museums, it would not be hard to find entertainment just a few miles away from Mountain Brook. The City has its own school system which includes four elementary schools, a junior high and a high school. The school system is consistently ranked as one of the best in the state. Also, the short drive to Birmingham will bring you to higher institutions of learning such as The University of Alabama - Birmingham and Samford University just to name a few. 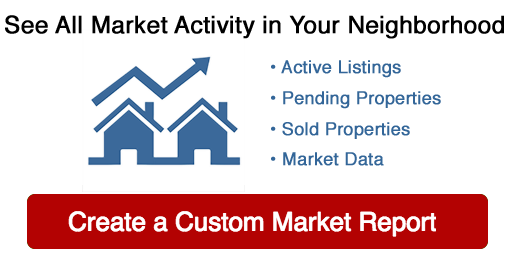 If you would like to find out more information about Mountain Brook and homes that are for sale in the area, you should contact Anna Frances & Guy for help finding your dream home. 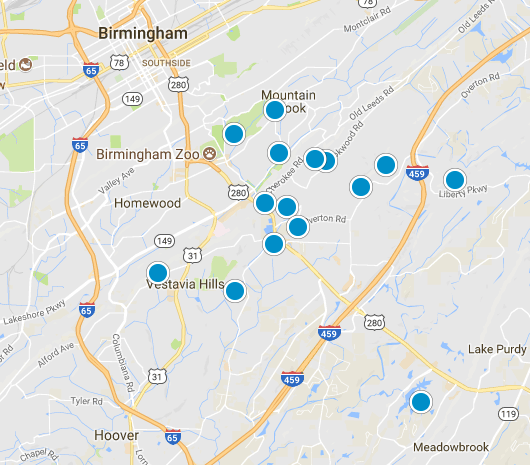 Currently, there are over 150 homes for sale in the Mountain Brook area with an average selling price of $577,500.